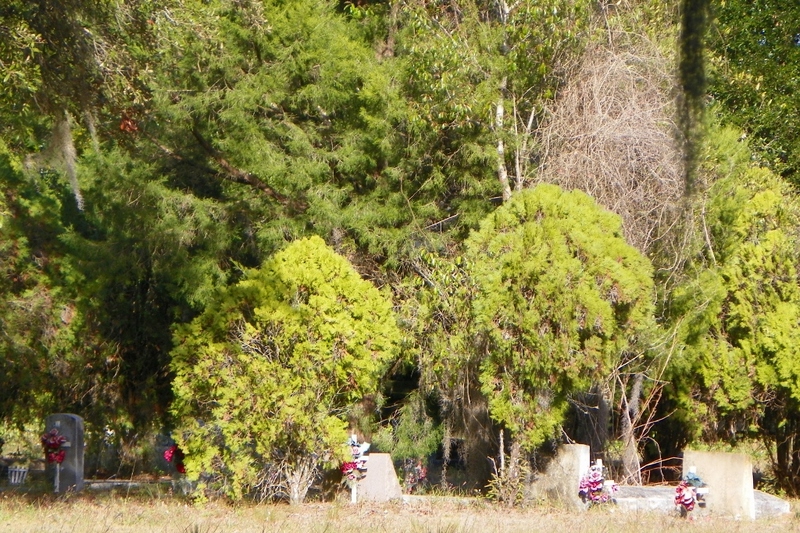 This cemetery's name is yet to be discovered by us. 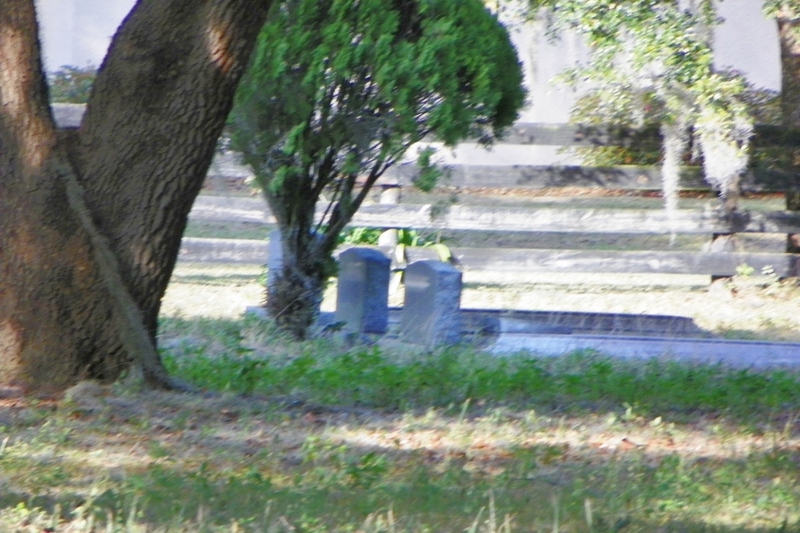 It is as if all information about it has been wiped from the records. 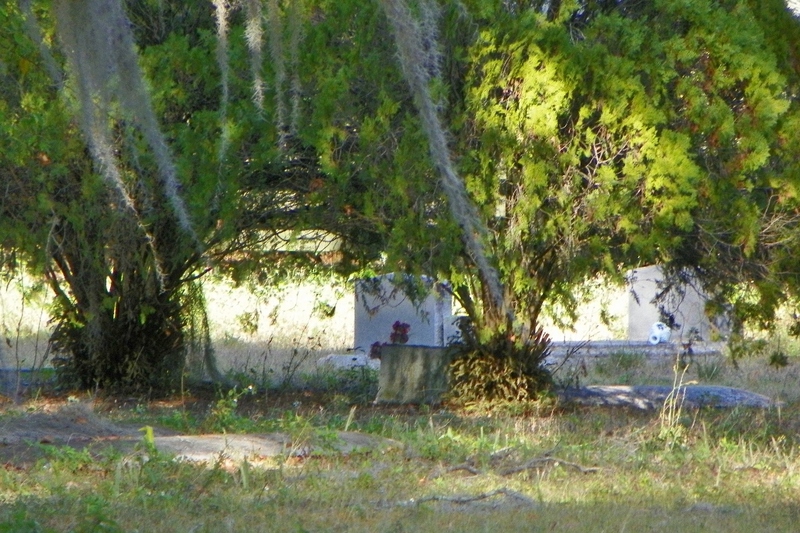 It is not on Find a Grave, Interment.net, the US Cemetery Project, Florida GenWeb, The Tombstone Transcription Project, nor Genealogy Trails. 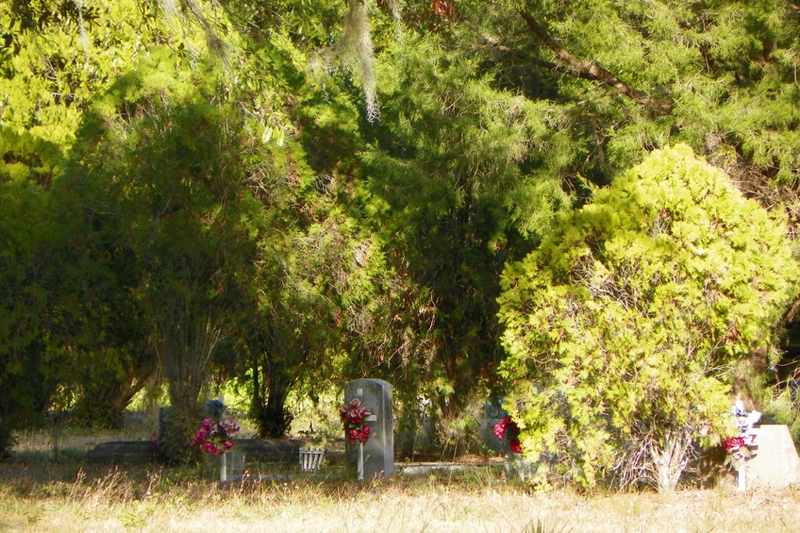 This cemetery is beyond a gate on southbound CR 100B, sitting approximately 1/2 mile south of Cherry Lake Cemetery. 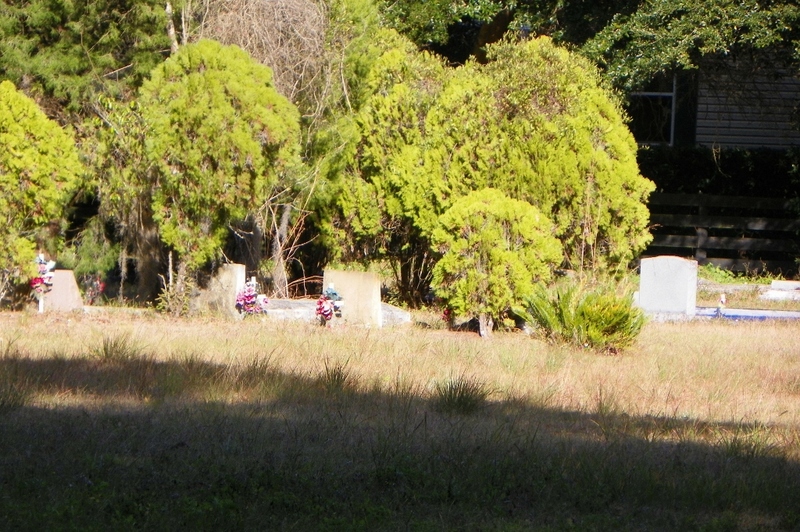 It lies behind a hedged area just east of the parking lot for the Village of Caroline mailboxes, and borders Stillwater Trail in The Villages..
Google Satellite View of "nameless cemetery".